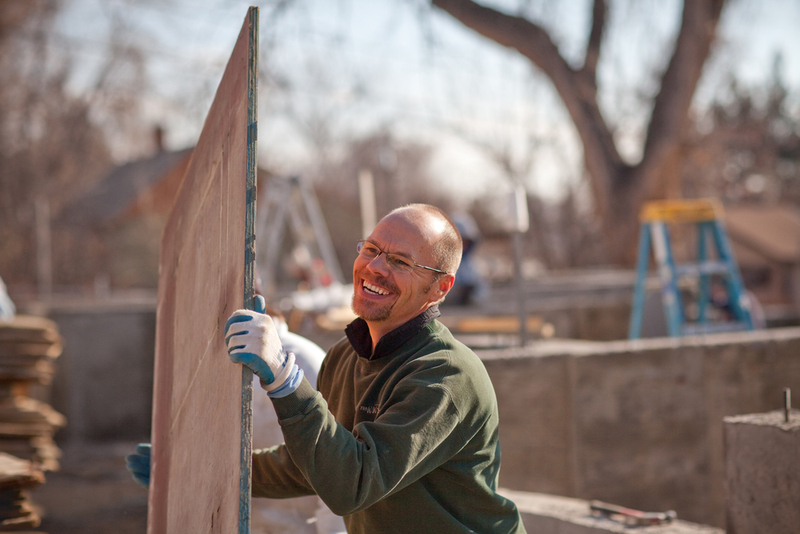 Volunteerism is the foundation of Habitat’s Mission. The average Habitat home requires over 2,500 hours of volunteer labor. People from all walks of life, who might not otherwise know each other, work alongside one another to improve the lives of others. Through this generous cooperation, families are strengthened, children are better able to learn, neighborhoods are improved and our community is united. Join Us on Site Today! Join Habitat for Humanity of the St. Vrain Valley for a day of building on one of our construction sites. Volunteers must be 16 years or older but no experience is necessary! Working alongside our construction supervisors, AmeriCorps members and future homeowners, you have the opportunity to learn new skills while building homes, community and hope in the St. Vrain Valley. To sign up for a volunteer project, click on the blue links in the section below. For more information on our program, please read our volunteer guide and safety manual. If you or your group are unable to work on a construction site and would still like to volunteer, the Longmont ReStore might be a good fit for you or your group. To sign up for a volunteer project, click on the links below. In case of inclement weather, please call our Construction Update Hotline at 303-682-2485, and press 6. Weather cancellations will be posted on this hotline by 7:15 AM. If you would still like to volunteer for the day, consider volunteering indoors at the Longmont ReStore. We can always use volunteers! INTERESTED IN A TEAM BUILD DAY? Click below to fill out the group request form.